I made pickles today, and wouldn't you know I ran out of jars before I ran out of cucumbers! 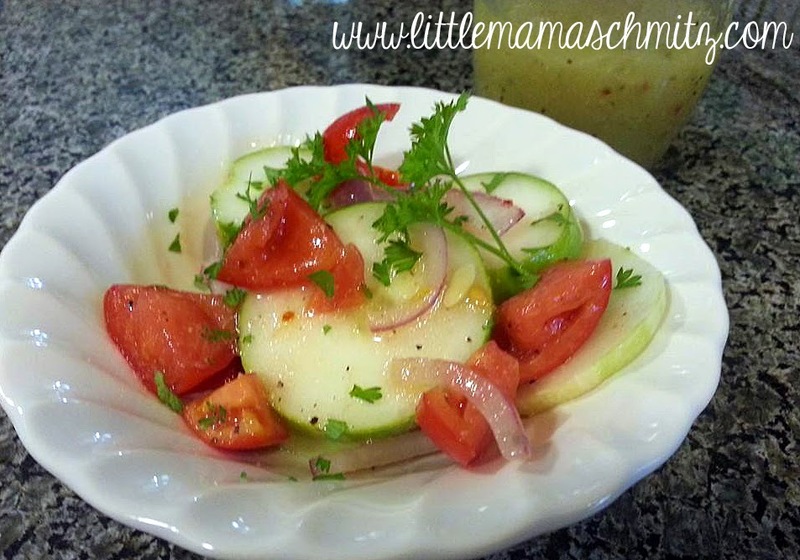 Easy fix, I decided to make this cucumber salad to accompany our dinner tonight. It is a very simple, fresh summer dish. There is one step after you have prepped the ingredients ... mix them together. I don't think it can get any more simple than that! Use just enough dressing to evenly coat all of the veggies, salt and pepper if desired. Refrigerate for a couple of hours. If you want, you can top it with some fresh parsley just before serving.